When Brock Lesnar relinquished his WWE title at WrestleMania 35 on Sunday night, one of the final hurdles between him and a title fight with UFC heavyweight champion Daniel Cormier disappeared. Suddenly, it seems as though this long-discussed fight could happen quite soon. Daniel Cormier is certainly hoping that’s the way things shake out. The heavyweight champion explained why this fight needs to happen in a recent interview with TMZ Sports. “It’s the fight I want,” Cormier said. “I think everyone wants to fight Brock. We all want to fight Brock. 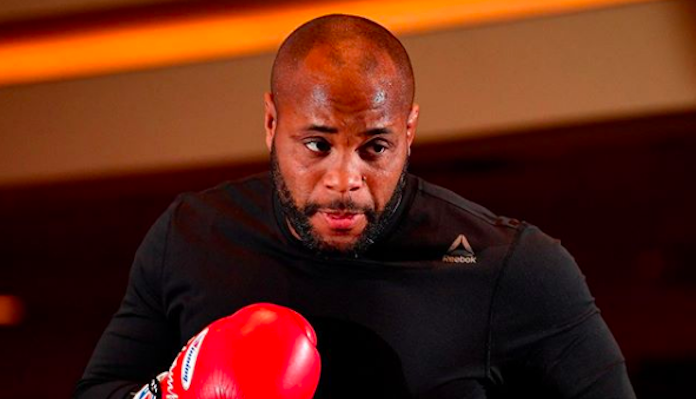 In his excitement about this potential matchup, Daniel Cormier is urging UFC President Dana White to get on the horn and make it happen as soon as possible. Brock Lesnar has not fought since he battled Mark Hunt in the co-main event of UFC 200 in July of 2016. This outing originally registered as a decision win for Lesnar, but was overturned when he failed a drug test. Daniel Cormier, meanwhile, last fought in November, when he defeated Derrick Lewis by submission in the main event of UFC 230. In his next most recent fight, he knocked out Stipe Miocic to capture the UFC heavyweight title.